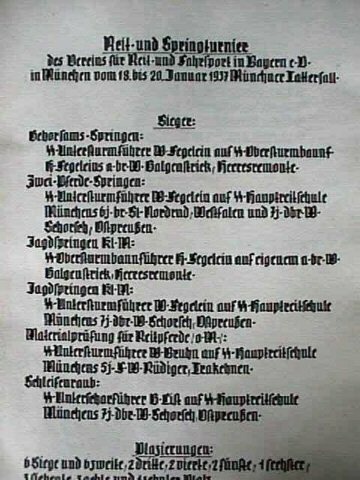 Be sure to see the SS Hauptreiterschule Ledger featured on this page (Item SS 9-3). 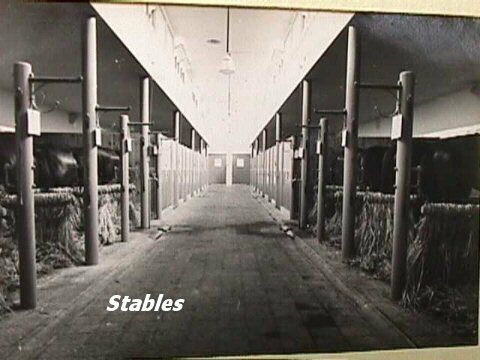 DESCRIPTION: This is possibly the greatest archival item offered anywhere. 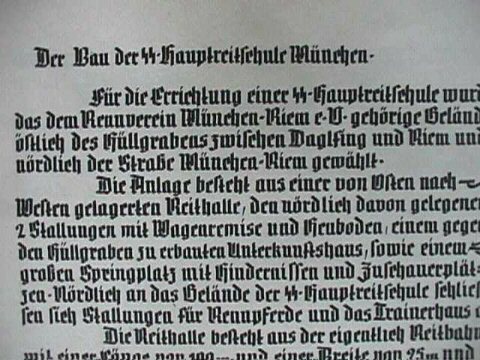 It is the actual chronicle ledger of the Head Riding School of the in Munich. FANTASTIC! Words can hardly describe it. It is HUGE! 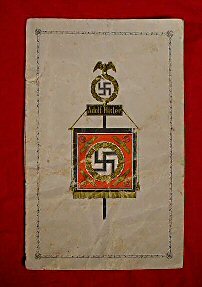 measuring 1 foot wide by 15 inches tall and 2 ¼ inches thick with white leather covers formed to the effect of the priceless Old German ecclesiastical works of the medieval times. 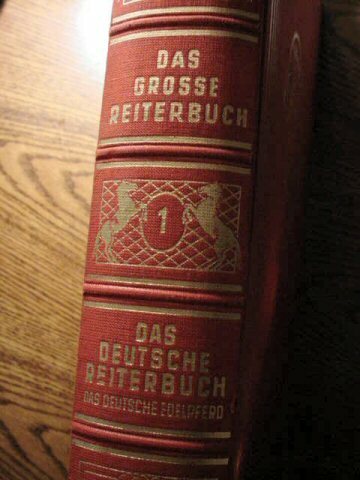 This was treated like the practically priceless volume that it most assuredly is. 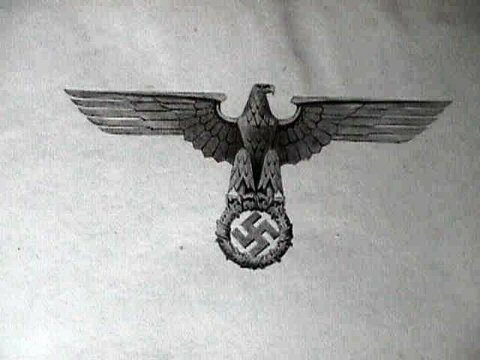 This is one of the most important records of one of the most important functions of the , but, it doesn't stop there. 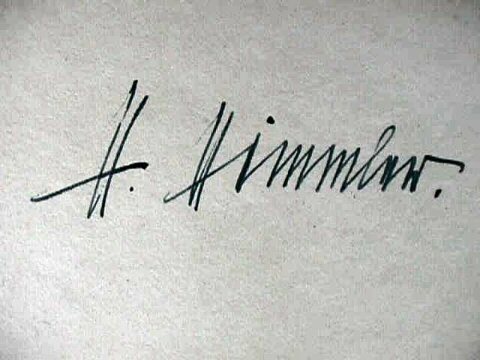 It is also signed by Heinrich Himmler Reichsführer- on 25 July 1937. 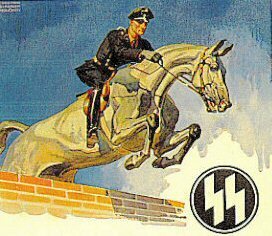 It was Himmler who created this the head riding school in Munich by special order of the Oberabschnitt (SUD). 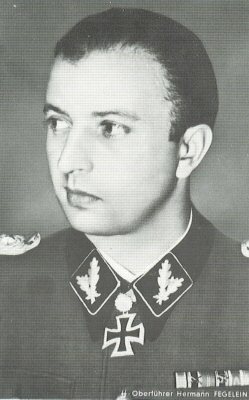 In that same order he appointed Hermann Fegelein who, at that time, was an -Sturmbahnführer, to be führer of the -Reiterabschnitts V. Fegelein, later that same day was promoted to -Standartenführer and to the position of school commander. 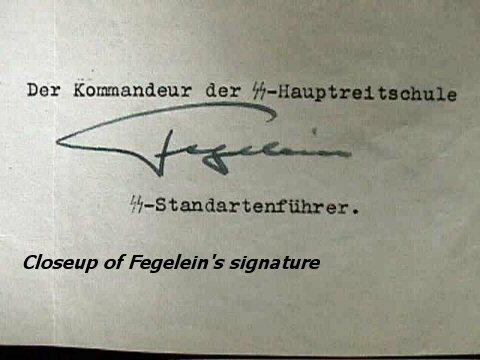 On page 3 of the Chronik is a handwritten signature and a short message dated 25 July 1937. 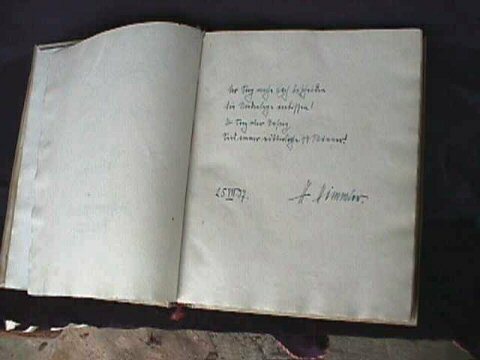 The message, written as a dedication of the school's opening reads (translated): "If you have victory it should make you modest. If you suffer defeat, you grind your teeth. 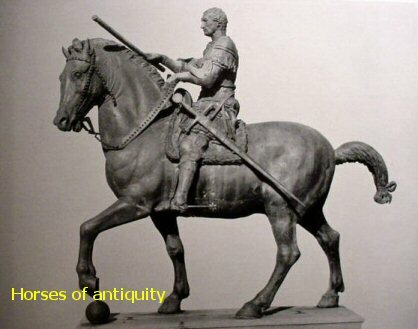 But in victory or defeat always be a knightly man." 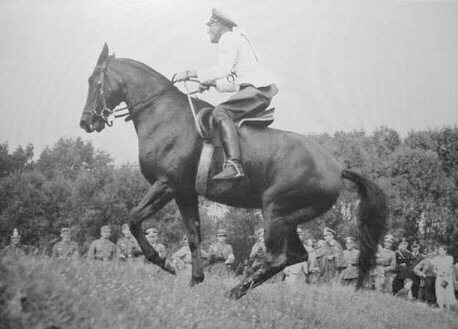 The volume has hundreds of beautiful parchment pages; however, only 43 pages are filled out; the last being dated June 1939 for a riding and jumping contest in Leipzig. 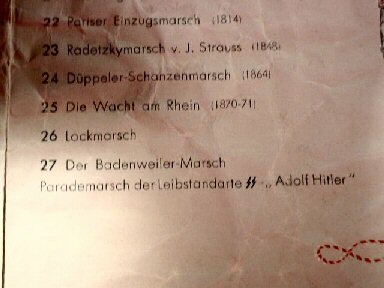 Those 43 pages, however, are gems of history. 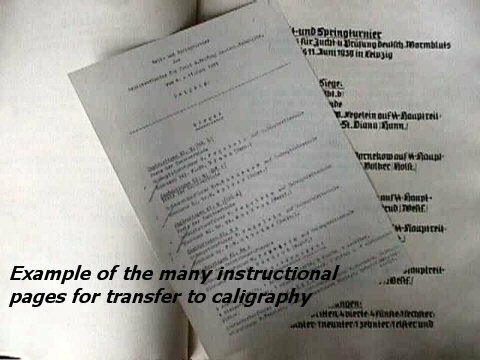 They are done in the fine calligraphy style of Benedictine monks. I'm sure the clerics could not have done better. 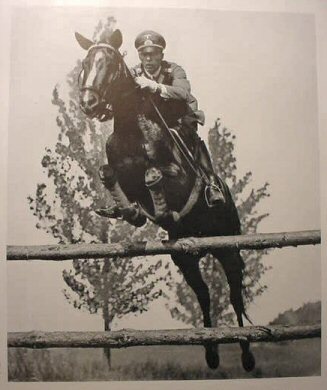 After the Himmler dedication there are about 6 pages giving the background of the history of the planning, architecture, future plans, ideas, and a section giving the history of equestrian interests and the Reichsführer-'s role in all of this elaborate undertaking. 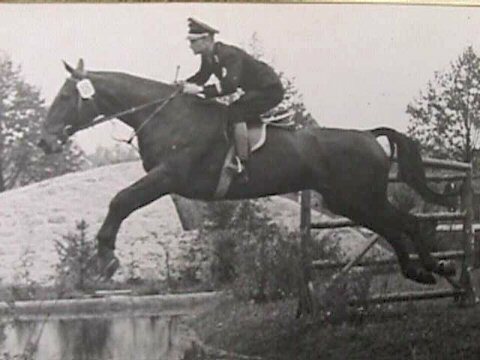 This was not only for sport, but would later help to produce a crack SS cavalry unit that would someday be called upon for the country's military efforts. 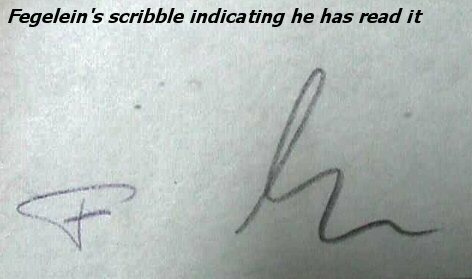 With the massive volume are two important letters. 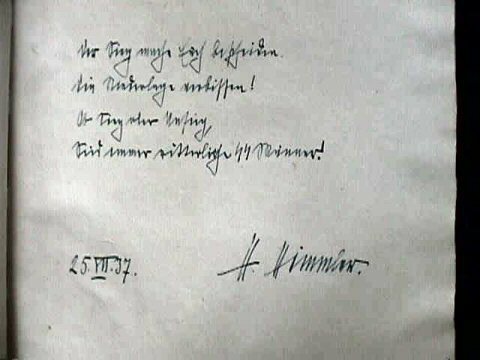 One is from H. Himmler to the school and H. Fegelein dated 13 February 1939 congratulating the school and its commander for its accomplishments at the Berlin Reit und Fahrturnier tournament. 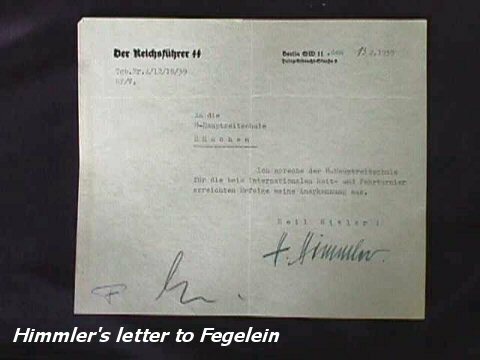 This letter is initialed by Fegelein as having read it. 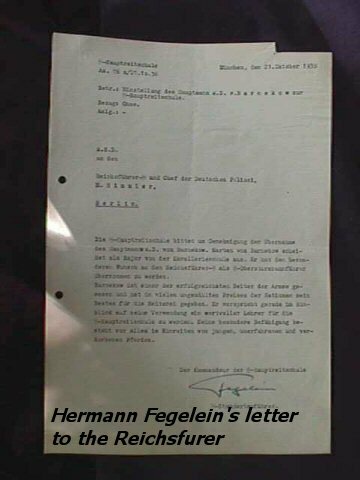 The other letter is from Fegelein as commander of the school to Reichsführer- Heinrich Himmler dated 21/6/38 requesting the assignment of Hauptmann Marten von Barnekow to the school. 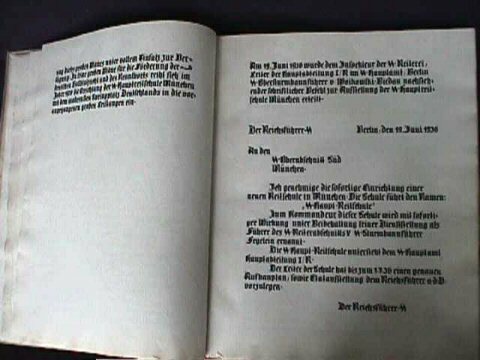 Also on the various pages of the book are typewritten pages on tissue-type paper. 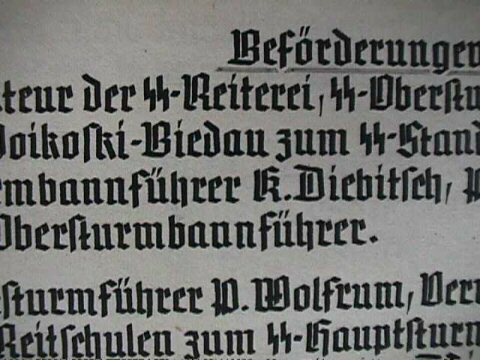 These are the original notes done to instruct how the calligraphy was to be done (the text). 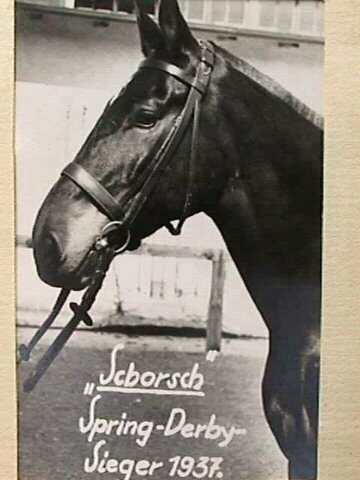 The actual calligraphy goes up to, as I have recounted, June 1939; however, there are 4 more typewritten and handwritten pages for entries that unfortunately were never made; the last being 10 and 11 May for an equestrian contest in Vienna. 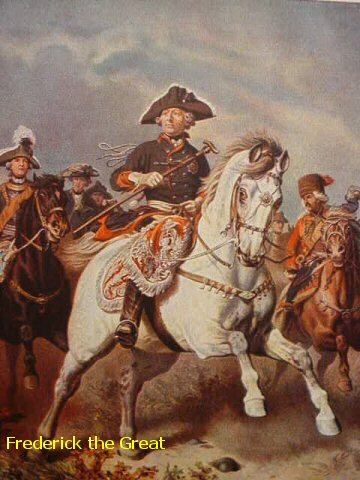 After this all the academy members were sent to the Russian front as the Florian Geyer Cavalry Division. 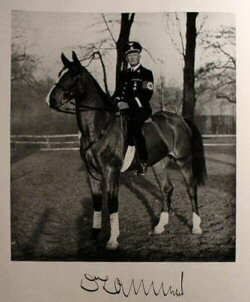 This is an incredible book chronicling the names of very early party members, high-ranking , and the elite whose families either were industry barons and former royalty from Hohenzollern Kaiserzeit times, who were appointed to the school to represent Germany, the , and the party in riding events across Europe. 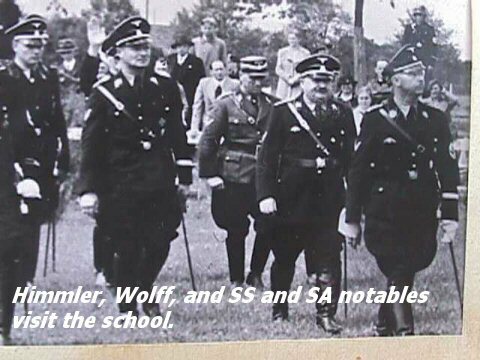 Also included is a mini photo album of the riding school including a picture of Himmler and other dignitaries to include his adjutant, Karl Wolff, when they visited the school and grounds. 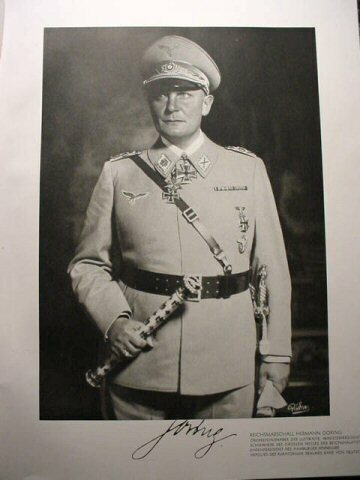 The pictures were taken by Fredrich Franz Baver, Himmler's personal photographer whose offices were in Munich on the Briennerstrasse 4. 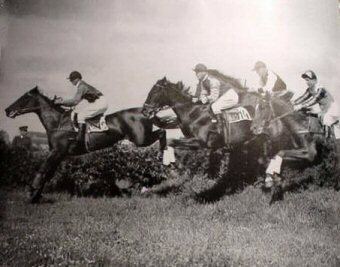 His stamp is clearly seen on the back of the photos. 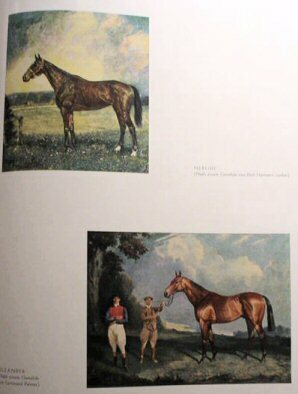 Although small 2 x 3 photos, they are wonderfully accomplished and the magnificent horses and horsemanship prowess are dramatically depicted. 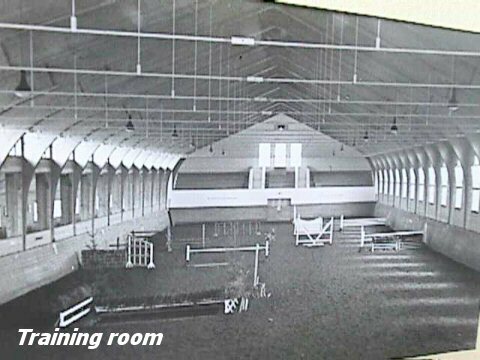 The stables and personal rooms for the students are shown as well as Scborsch, the thoroughbred Spring Derby winner of 1937. 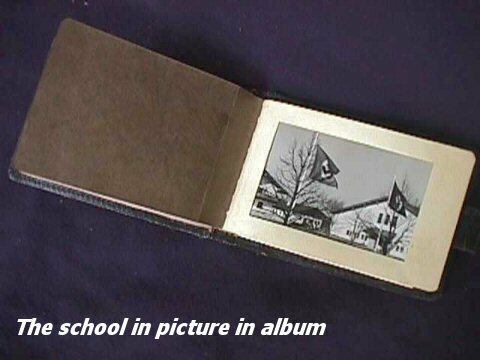 A treasure of a little leather-covered album with the name of the school embossed in gold is part of this collection. 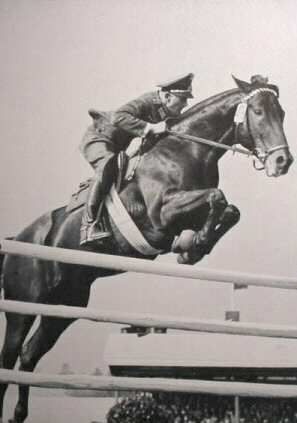 Included as well will be the recent book Himmler's Cavalry The Equestrian 1930-1945 by Paul J. Wilson. 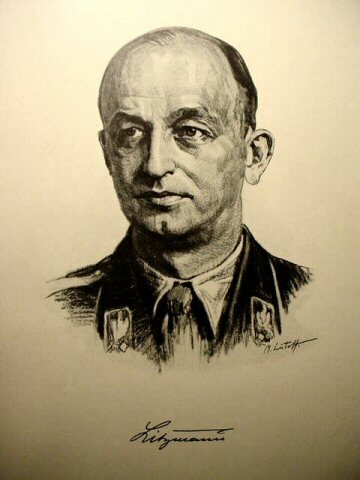 This book has 9 or 10 pages devoted to Fegelein and the Hauptreiterschule. 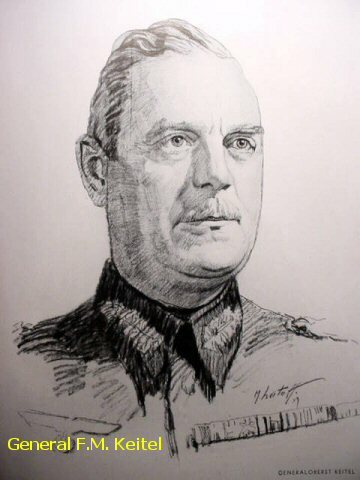 Its beginnings and its value to military efforts in the forties are portrayed. This is a very in-depth explanation dealing with the immediate importance that this volume personifies. 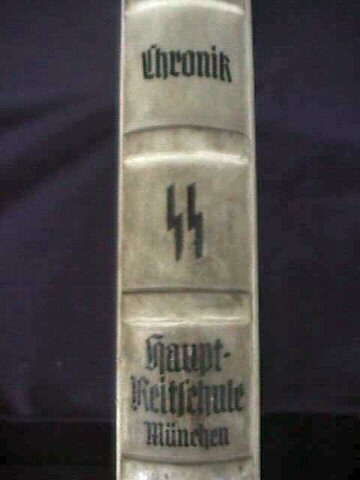 Nothing offered on the web can match this item for historic importance or sheer "bibliophile ecstasy" and SS-collecting fanaticism. 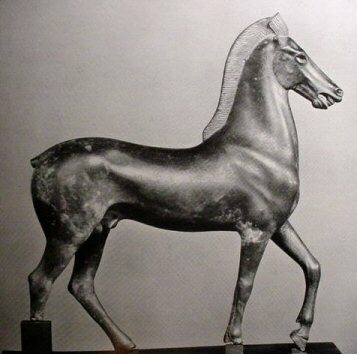 The odds against something like this being found no less preserved is fantastic. 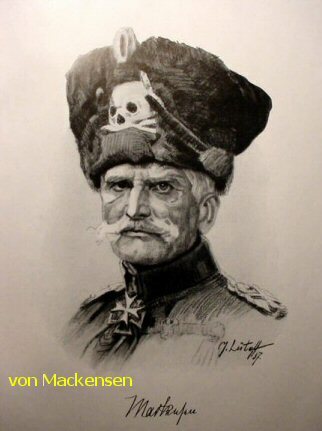 We are extremely proud to offer it now on Germania's site. 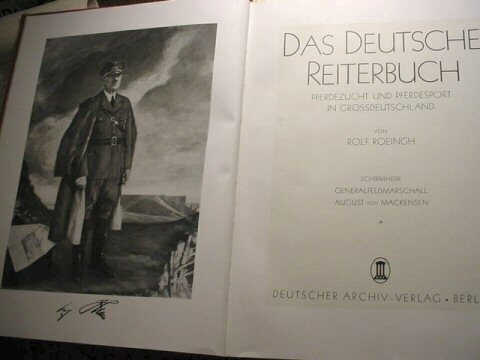 DESCRIPTION: Here is one of the most beautiful books of the Third German Reich period. 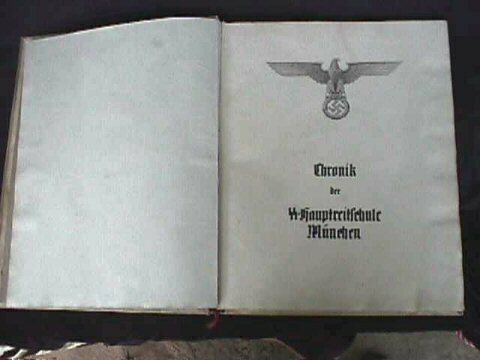 We know that it came from the same source that the SS chronicle above came from. 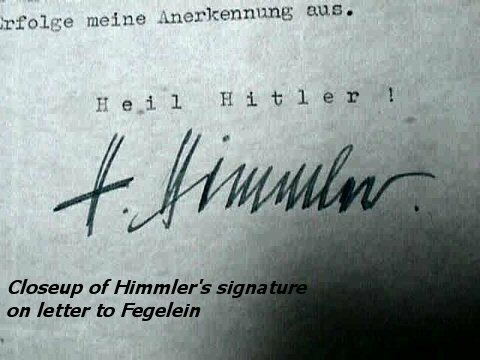 It certainly is in the same vein. 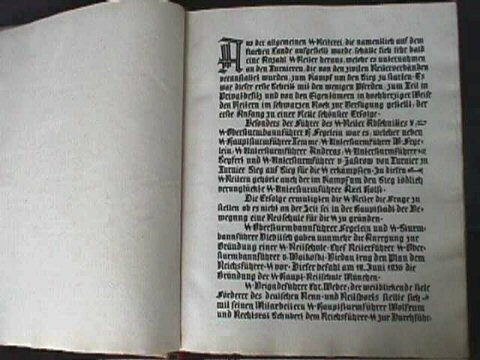 This is a huge book measuring 10 x 13 inches and is 2 inches thick. It is practically mint in condition. 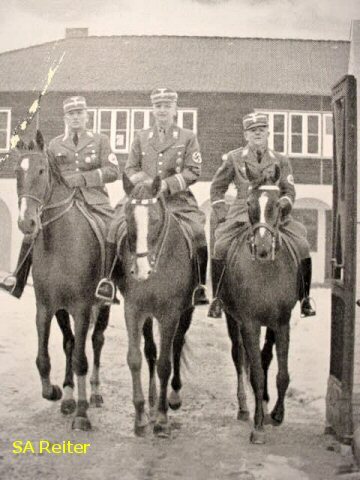 This 114-page book chronicles the history of Germany’s love of horses and riding. 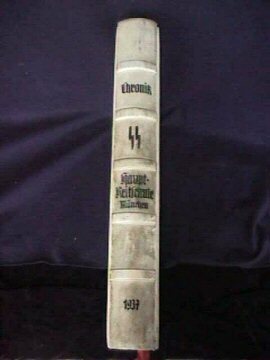 The spine has a numeral one on it indicating that there was perhaps a volume two; however, since it was published in 1940, the second year of the war, it is possible that number 2 was never actually published or volume 2 may have been another subject. 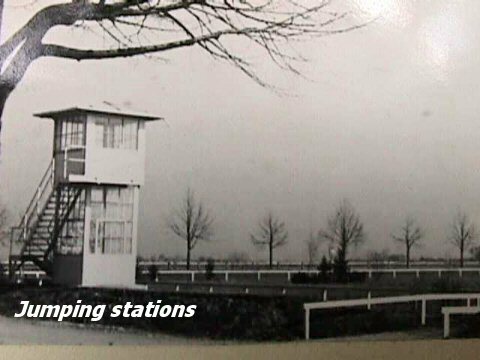 This is most likely the case since this one is so completely exhaustive of the subject. 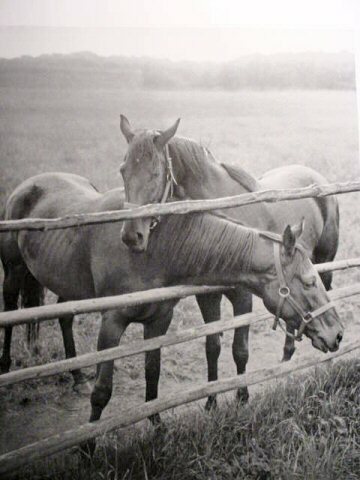 The book is so overwhelmingly filled to the brim with wonderful pictures that it is difficult to describe. 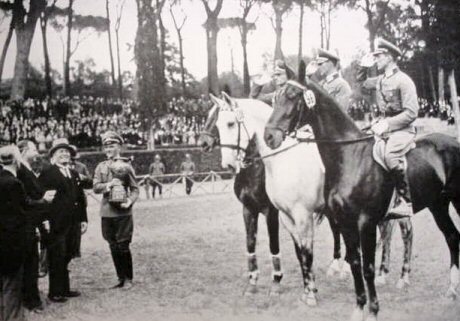 It goes deep into the history of Teutonic and Germanic horsemanship, competitions, parades, anthropology, and contains hundreds of photos of Third Reich participants and founders. 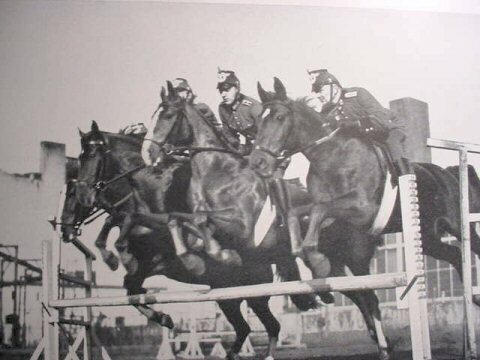 The SS, the SA, the Police, the Army, the Olympics, and uniforms and regalia of cavalry units of the Kaiser’s time are featured. 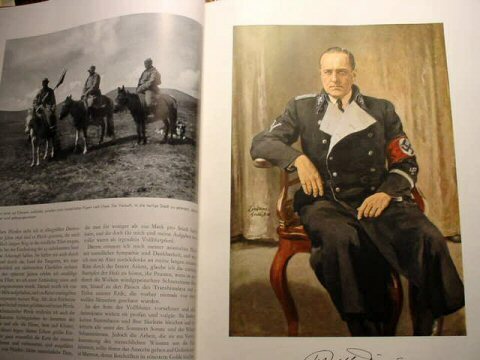 Page after page of rich cultural visages abound. 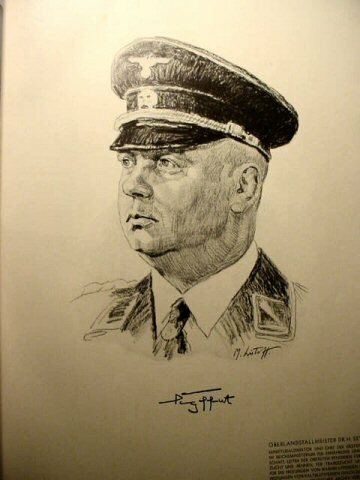 The close-up drawings of Wehrmacht and political leaders (full page) are nothing short of great. 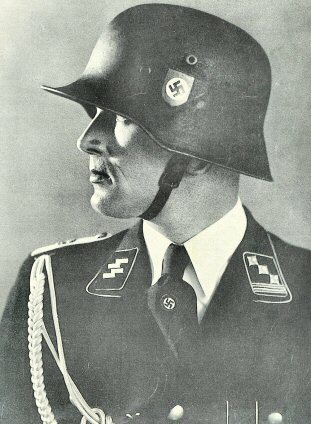 There are color pictures also here and there. 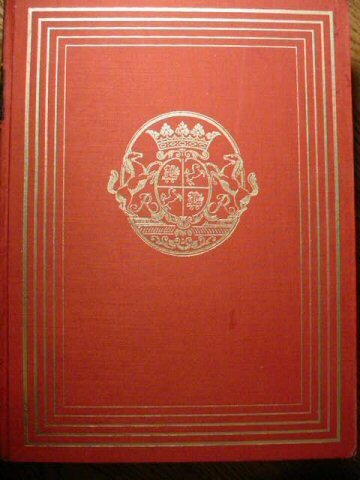 It is hard to even describe this book without thrilling to its sheer importance and beauty. 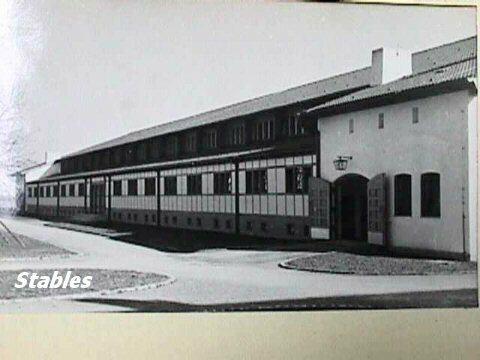 We have never had better! 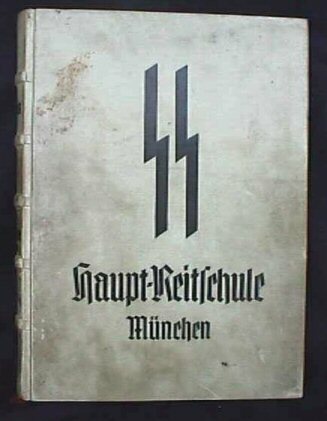 This is a book that should be added to a good archival collection of cultural and historical books. 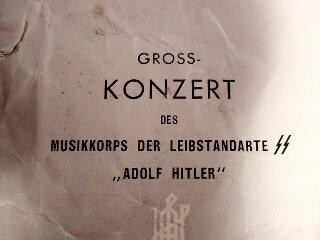 DESCRIPTION: Here is a concert that would have been the thrill of all thrills to attend: the Gross Konzert des Musikkorps der Leibstandarte- “Adolf Hitler”, under the direction of Leibstandarten-Obermusikmeister Hermann Muller-John. 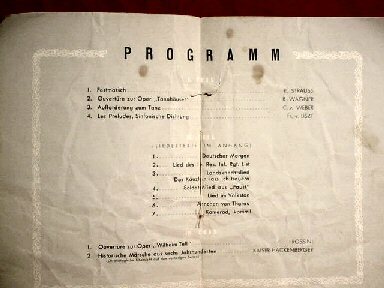 Also featured was the soldiers’ chorus of the LAH. 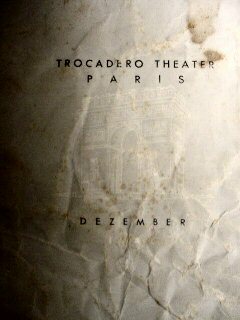 This is the actual program for the grand performance at the Trocadero Theater in Paris in December of 1940. 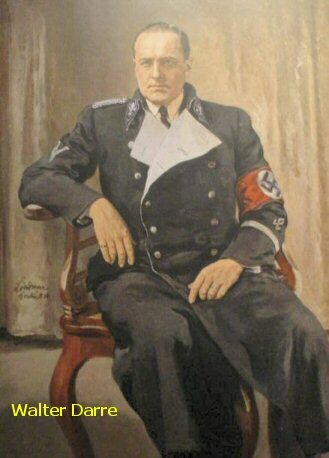 This was a grand event and it has been noted in quite a few chronicles of WW II. 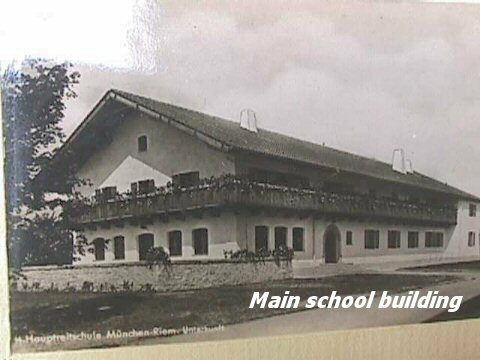 Here it is; all original and in fair condition. It may have been packed near moisture and is a little wrinkled here and there, a little stained on the back, and has a non-serious rip toward the top of the folded binding. 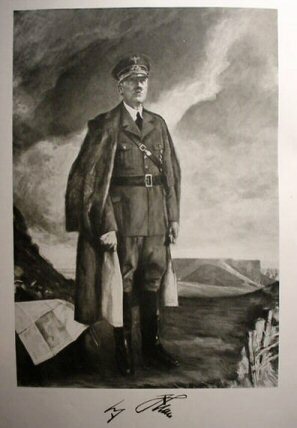 Still, it remains very much readable and the picture of the LAH Standarte is frayed, but still dramatic and awe inspiring! 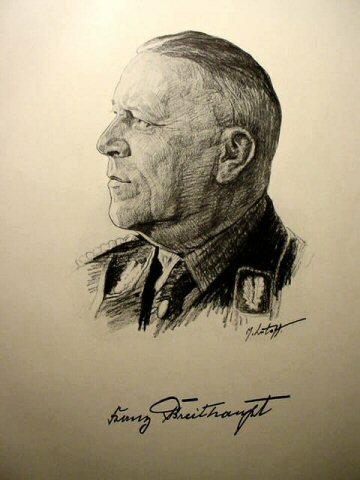 The event has sponsored by the organization NS-Germeinschaft “Kraft Durch Freude” and the Oberkommandos der Wehrmacht, the “Strength through joy movement and the supreme command of the German Armed Forces.” Here was culture “personified”. 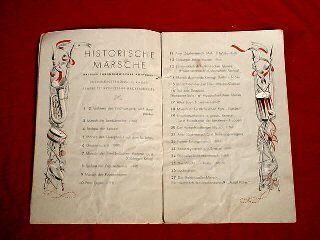 Just look at the program: the greatest of the Germanic marches from various ages. 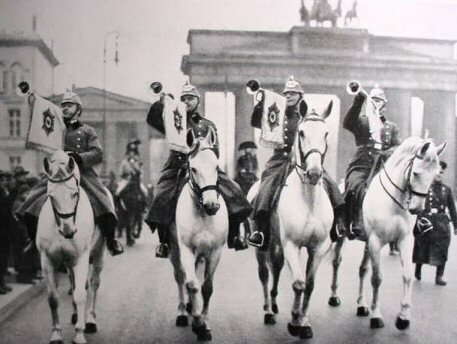 Imagine the thrill of the crowd when the orchestra used as its last offering Der Badenweiller-Marsch Parademarsch der Leibstandarte- “Adolf Hitler”. 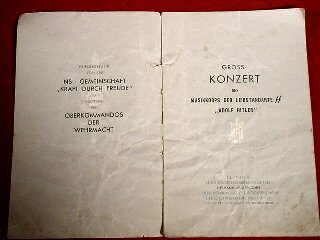 In the program also you can see Tannhäuser by Richard Wagner, William Tell Overture by Rossini, etc. 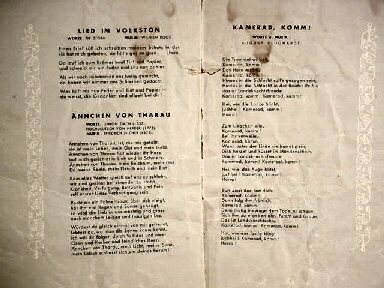 Among the songs by the choir are the Soldiers’ Song from Faust, the song of the Landsknechtlied, Kamerad, komm!, etc. 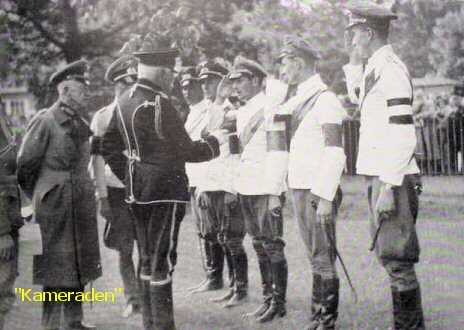 This is an archival treasure from an epoch that might have been one of the last stage bows of our western ways and Teutonic culture. 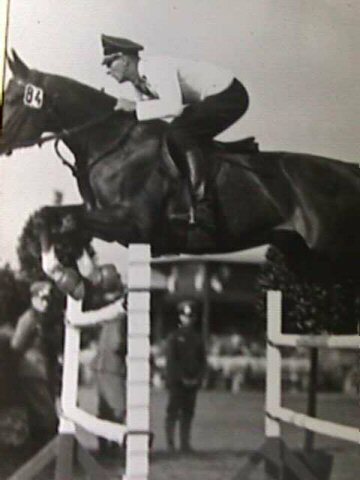 If it died, it certainly died in style! 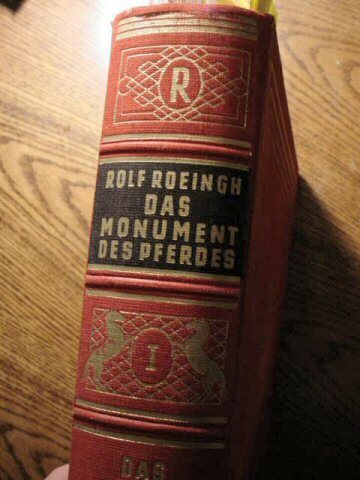 No person who enjoys the refined, the cultured, the grand and glorious can help but to admire this little relic of Der Helden der LAH. 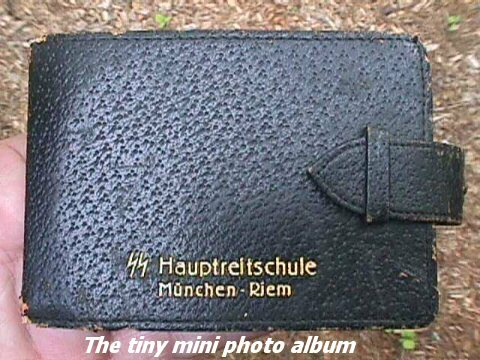 It measures 5 ½ inches wide x 8 ¼ inches tall and contains 12 pages with cover and back. Extremely rare! Very extremely rare! Priceless with a price.